The Magic Tree House books are some of Norah's favorite books to read right now. Many of them have a corresponding research guide. 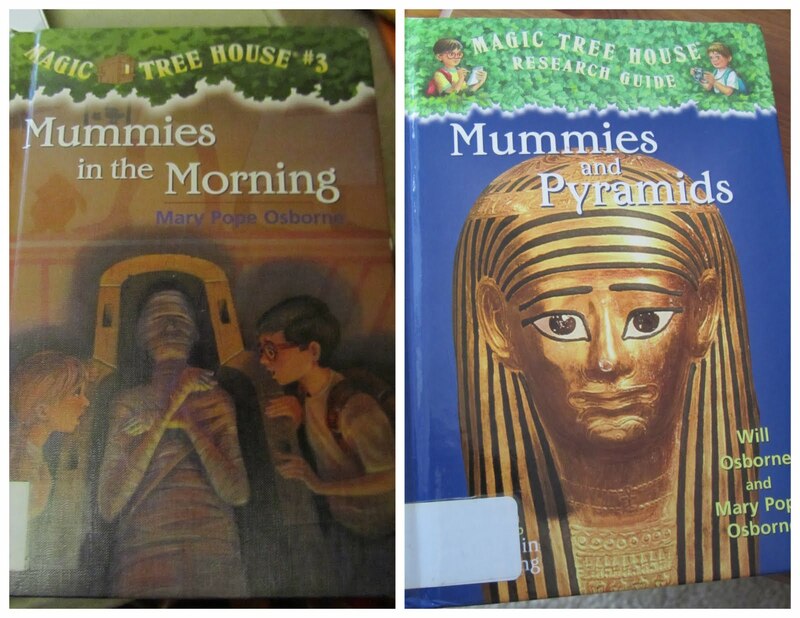 About a week later, that book's research guide, Mummies and Pyramids, showed up on our list of recommended books for the chapter we were on in The Story of the World, so we ended up checking that out and reading that together, too! I love that her the books she is choosing to read for fun go hand-in-hand with what we are studying in history.